Not Verified | My wife had wheelchair service requested. It was not provided at the gate in Paris, to take her to the gate to her final destination. Delta flight attendants told her to wait at the exit from the gate. An airport worker sent her to a "transfer" place, where two women checked her boarding pass, told me to wait and left. After two hours of waiting she decided to risk walking to her gate on her own. She is not supposed to walk long distances, it can aggravate her medical problem. It was very difficult, but she managed to get to the gate. Every single person she addressed during this ordeal was rude to her, and completely inconsiderate. At the gate to her final destination there was no place to sit, as the area was full of people, and there were no handicapped seats. Not Verified | No hot food at airport, if you have kids make sure you feed them. If you use vending machines to get crisps they get stuck and nobody was willing to help. A total shambles, avoid at all costs. ✅ Trip Verified | Love this airport. Huge, clean, staff very friendly. Clean toilets. Very good connection with Paris via RER B train which just near Terminal 2E from where we took our flight back to Dublin and you can take this RER B train just 3 minutes walk from Notre Dame de Paris. Tickets cost for adult only €10.30 and discount for kids. Taxi will cost you about €60 and wasn't option for me since I was with my daughter who suffers from travel sickness in cars and buses but never on train. "Are these not getting repaired"
Not Verified | None of the drinking water outlets at 2C terminal are working. Are these not getting repaired so that people are forced to buy water bottles? What a shame! 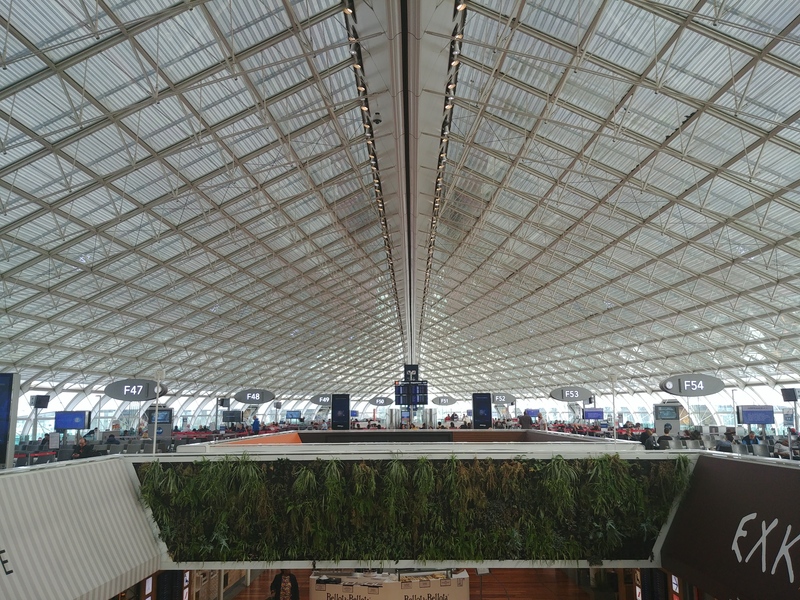 "airport seems to be very well maintained"
✅ Trip Verified | I arrived to Terminal 2E and had to catch a connecting flight from Terminal 2F. When I left the plane it was a bit tricky to find the right direction but within a few minutes I got it. The transfer took ~ 40 minutes. The airport seems to be very well maintained, it is clean, there is enough power outlets with USB charging options, enough shops and restaurants with slightly higher prices. Overall I liked being here as a passenger. 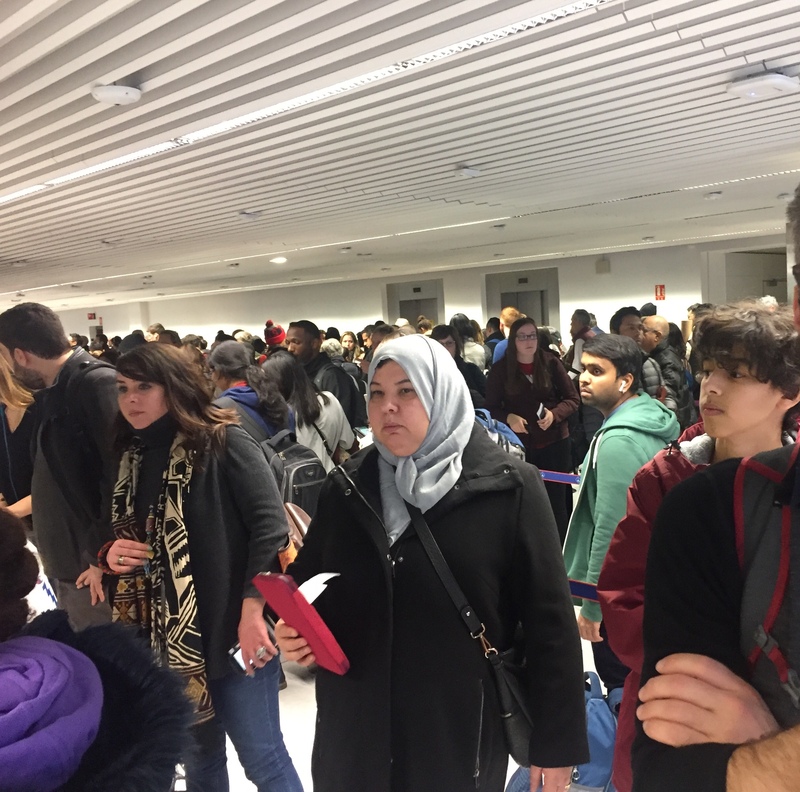 Not Verified | Charles de Gaulle Airport is ridiculous. The building itself (Terminal 2f) was modern and mostly clean. But the signs are misleading, almost everything was exclusively in French - I do get the aversion of the French of speaking English, however ridiculous it may be, but this is an international airport (it was the same with the Eurostar coming from London - once aboard the train, not a word of English). You also have to not only check in and print your boarding pass and baggage labels yourself, you also have to scan and drop off your luggage yourself, even though there are staff next to almost every counter. Is this really the future? The only way to avoid that is probably to fly exclusively in Business class, from now on. Also, during security check, one of the staff members basically threw my handbag out of a tray and they also opened my laptop bag, making my 2,000£ Macbook falling out into their dirty trays and subsequently to the floor. All I got was a foolish look. I have never seen such bad and rude airport procedures, and I’ve travelled far. 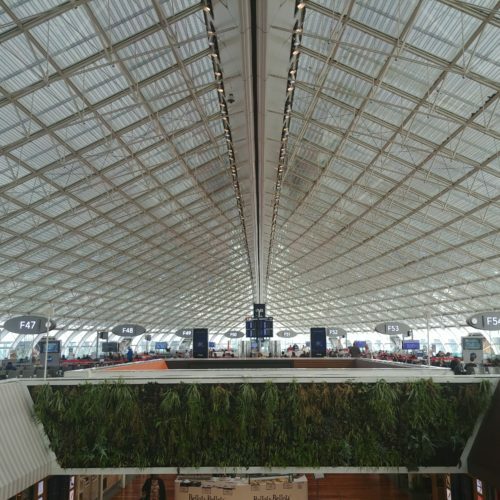 This was the last time I will fly from CDG. France is in my opinion a completely overrated and overpriced country. Adieu. ✅ Trip Verified | Dirty and unclear signs! The lavatory is very less and you need to take a long time to walk to. No enough elevator and it's really slow and old. No fast pass for urgent case. The metro is broken and the seats are dirty at the airport! "1 hour from plane to parking"
✅ Trip Verified | The departure was smooth with self check in Terminal E to BKK. Immigration queue was OK. The staff was polite. The time wasting is from travelers who don't know the drill, no liquid, laptop screened on a separate tray, belt removed, pockets empty etc. 90% of the wait is due to these travelers rather than the scan itself. It is true that food options are non existent afterwards. On the return from Bangkok seamless immigration process via Parafe, with the passport being scanned, and your image taken, than the gates open. All in all 1 hour from plane landing to parking (LT parking lot). 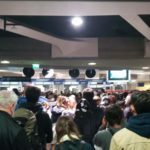 Not Verified | I am appalled by how I was treated by Paris CDG employees. As an American student living outside of Paris who perfectly comprehends the French language, I am in utter disbelief. After all 3 of my bags were forced to be searched (mind you I flew into London and Prague with the exact same bag prior with no items changed), the employee removed each liquid item from its plastic container it was previously in, and put it in another plastic container. He then told me in French it was “bien”. So I began to rearrange the bag, assuming this was allowed. I then was yelled at by another employee in French, and he proclaimed in French “all Americans think they can do whatever they want”, a nice touch considering I understood it all. So then the man proceeded to repack each liquid into the now dirty secondary plastic bag the airport provided. Would anyone like to explain to me why the liquids had to be removed from the plastic bags they were already in and put into another, more full, dirty plastic bag the airport provided? Not to mention the audacity of the employers to speak so rudely about me in front of my face in French while I understood every word? Beyond disappointed with my experience today. Not Verified | It was always said that Paris was not the friendliest of cities - this recent trip could not have been more the opposite. Friendly - welcoming and the hospitality was fantastic. Then we get to the airport. Awful, rude, atrocious is an understatement. Security feels more like an internment camp than an airport. They don’t care. It’s a drag to get anywhere. 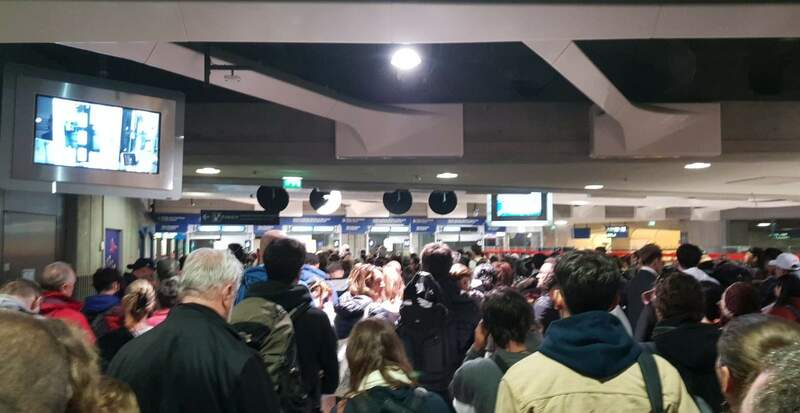 If this is what the aim is and the plan go to keep people away business and leisure then yes CDG airport you guys are experts! It’s quite funny as Brussels and London are inside two hours and it takes that long to walk this horrid airport!